We are an appliance distributing company. We wish to invite applicants with requisite qualifications to fill the position of Export Assistant Clerk that has arisen within the company. Role Purpose: The purpose of the role is to document, prepare and export coordination with concerned agencies such as customs and relevant government agencies. · Open all export files once the order is received from the client. 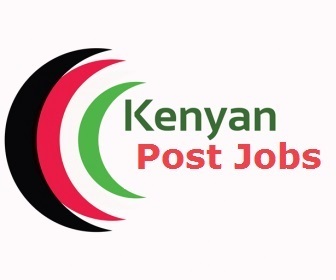 · Apply for IDF, marine cover and KEBS note manually and online. Prepare export invoices in Orion. · Split export documents and send to loading destination. · Proof read all documents relating to exports. · Maintain export data and verify information accuracy. · Photocopy, scan and file documents correctly in each file. · Organize to send documents to Bond and Warehouse as soon as it’s ready. · Ensure accurate record keeping of export files i.e. ensure all data relating to exports is available. · Diploma in Clearing & Forwarding, Supply chain or Logistics or any other relevant field. · Computer literacy in MS office and logistics software. · Good verbal, written and interpersonal communication skills. Attention to detail and ability to multi-task. · Good Report writing skills. · Ability to meet strict reporting deadlines and working under minimal supervision.